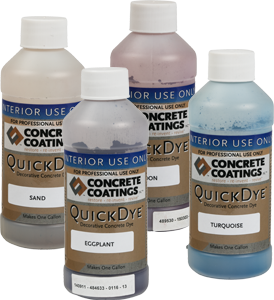 Concrete Coatings Stains & Dyes - Concrete Coatings, Inc. 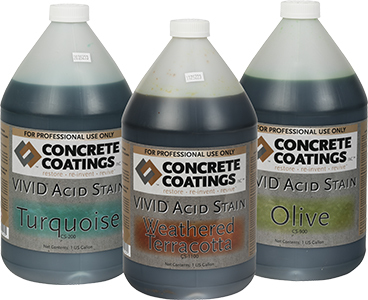 Concrete Coatings, Inc. has developed and refined some of the best stains and dyes on the market today. 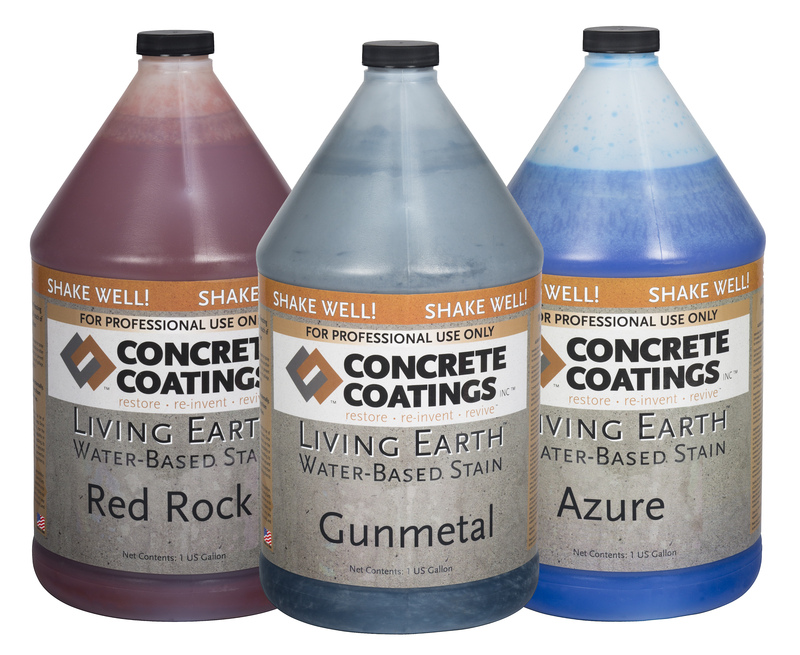 Whether you choose QuickDye™, VIVID™ Acid Stains or our new Living Earth water-based stains you will be working with products that are easy to apply and will provide years of lasting beauty. Our stains and dyes may be used together or as a stand-alone color to achieve the desired look. 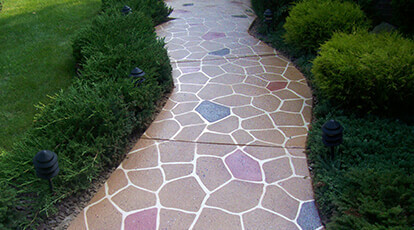 We offer a wide variety of coloring, providing virtually limitless possibilities for any decorative concrete surface.